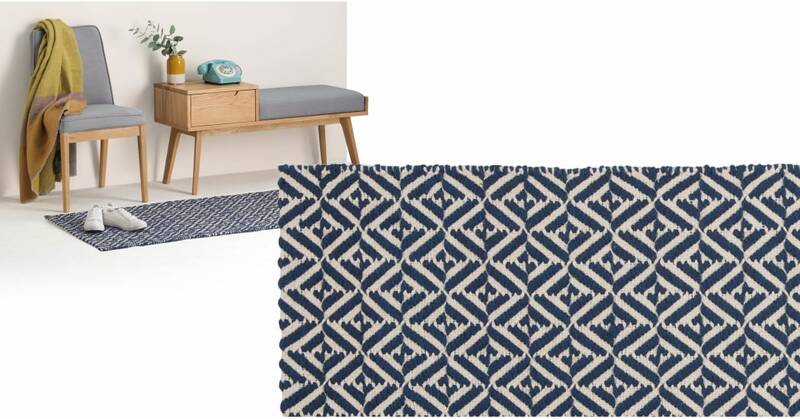 With its striking geometric tile pattern, our Mira runner is ideal for creating a focal point in hallways or landings. Plus its laid-back vibe gives it the appearance of something you picked up on your travels. Crafted from a blend of cotton and wool this flatwoven runner is made in India, the home of great textile-making. It's hard wearing to boot, making perfect for those high-traffic areas.